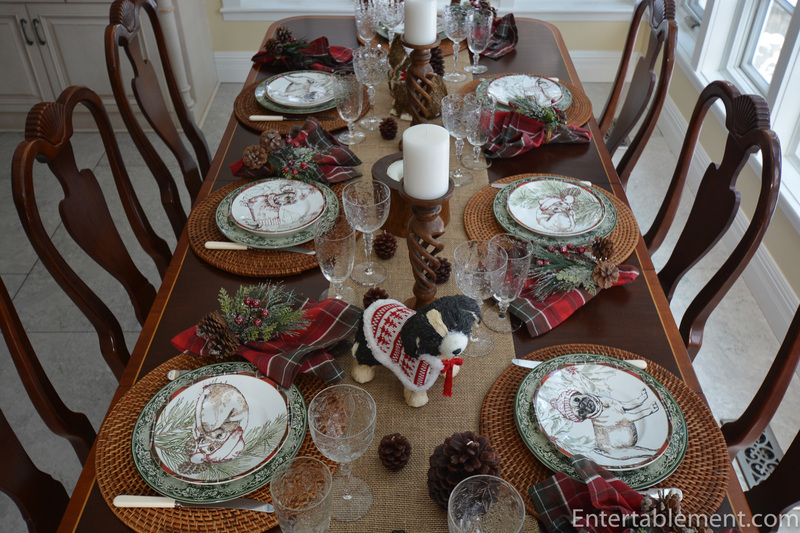 Wexford is a lovely red tartan pattern by 222 Fifth, and their Christmas Dogs rendition is a charming addition. We had our Full Family Christmas dinner yesterday, which included all four kids, their spouses and offspring, so it was a full house. Nine adults at the table in the kitchen, a small Ikea table (at dog-grazing height, to the delight of the multiple canines) with four child-sized chairs for Maddie, Emlyn, Juliana and Hannah alongside and Riley in the high chair. A napping Golden Retriever, wearing a Christmas hat (my favourite, of course). 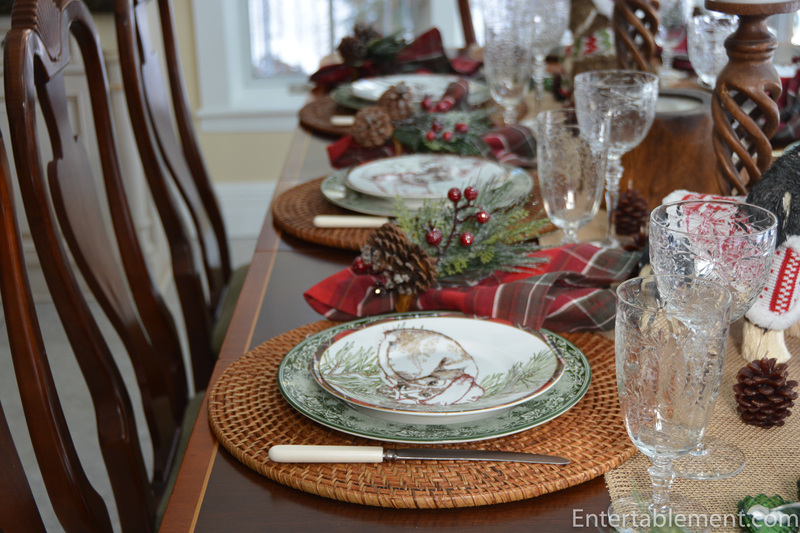 A simple homely runner of burlap set the base for the table, with rattan placemats, twisted stem wooden candlesticks, pine cone candles and a large wooden single candle. 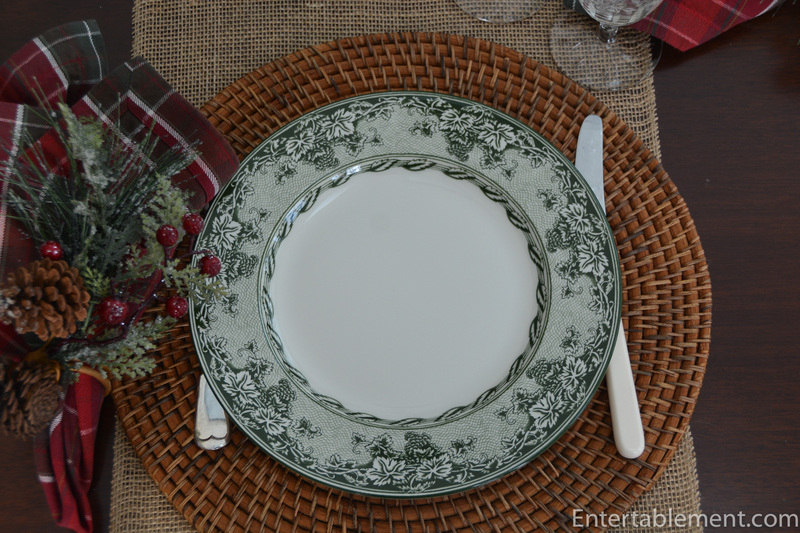 The dinner plate is Kent Green Vine by Wedgwood for Williams Sonoma. 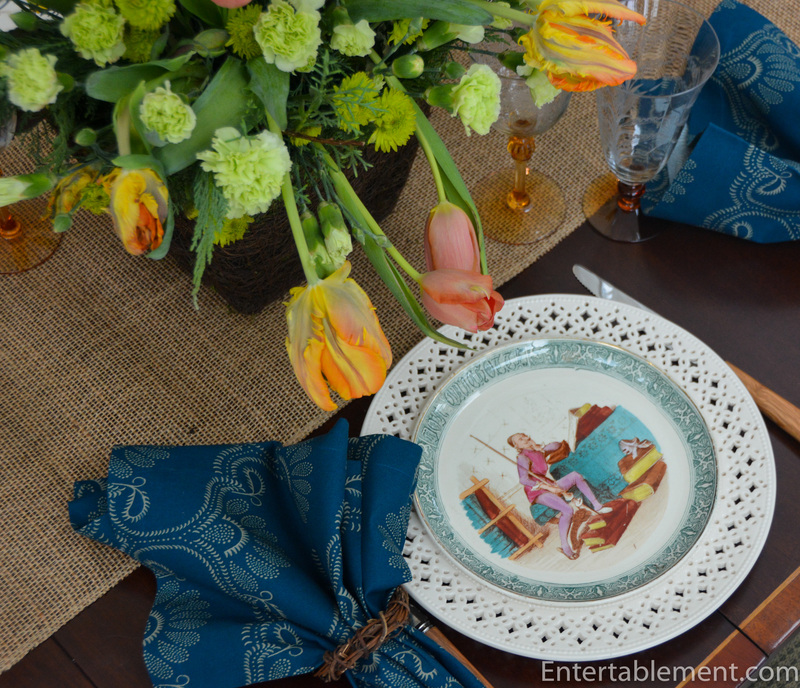 I’ve had a whole whack of dinner plates in this pattern for donkey’s years. 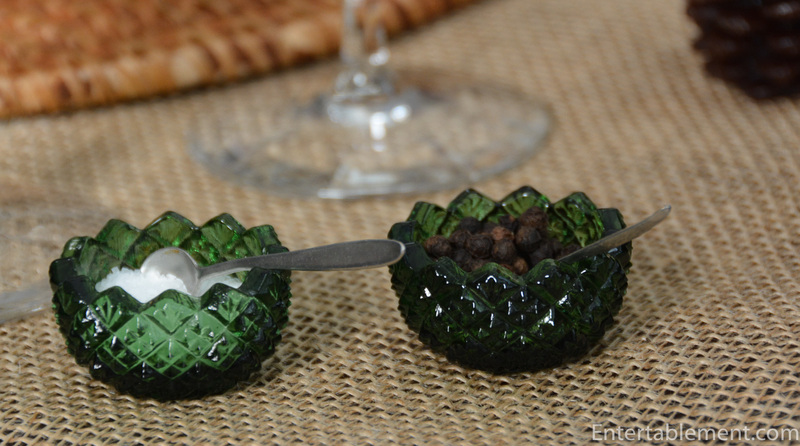 They’re great for the entire fall and winter season – durable, dishwasher safe, and easily replaced in case of mishaps. 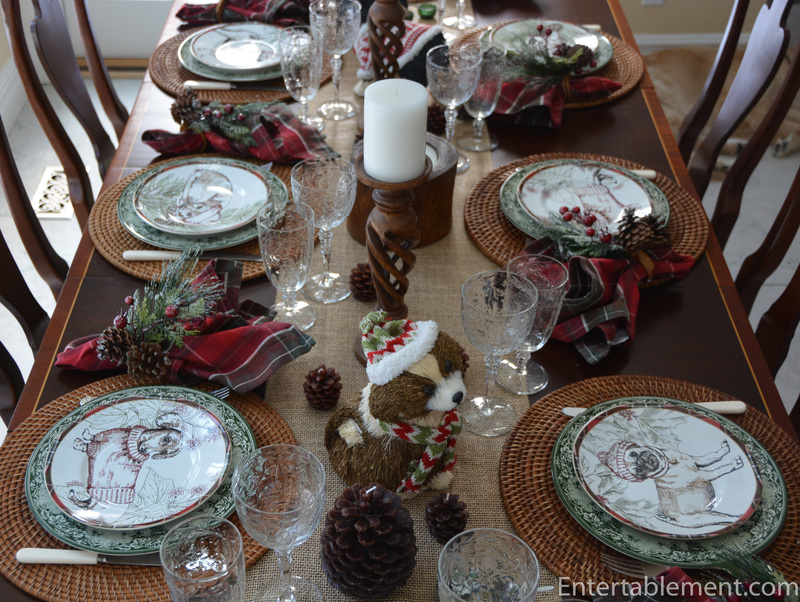 Tartan napkins from Pottery Barn a few years ago and festive napkin rings from Pier 1 echoed the tartan trim on the plate and the greenery and pinecone backdrop to the dogs. 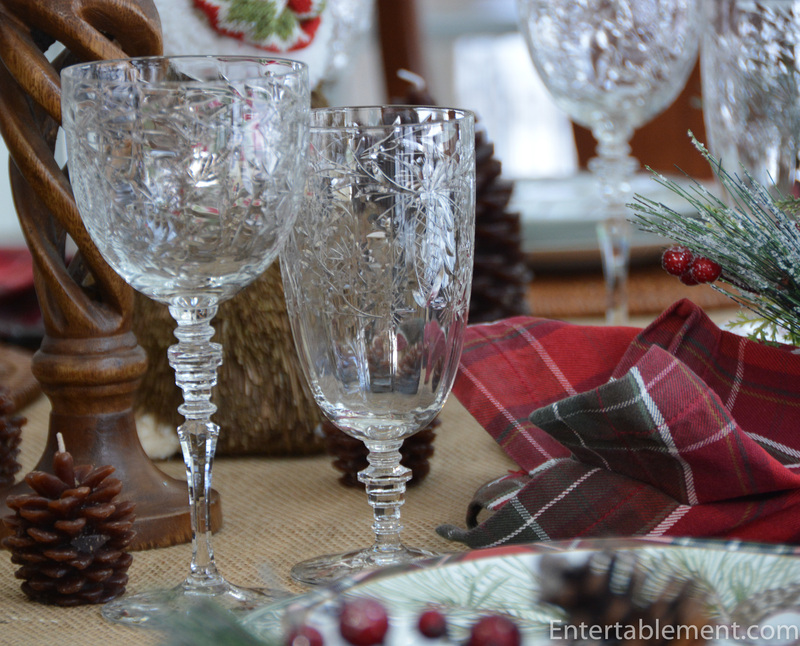 Antique wheel-cut glasses from Elise Abrams Antiques added some quiet texture to the table. 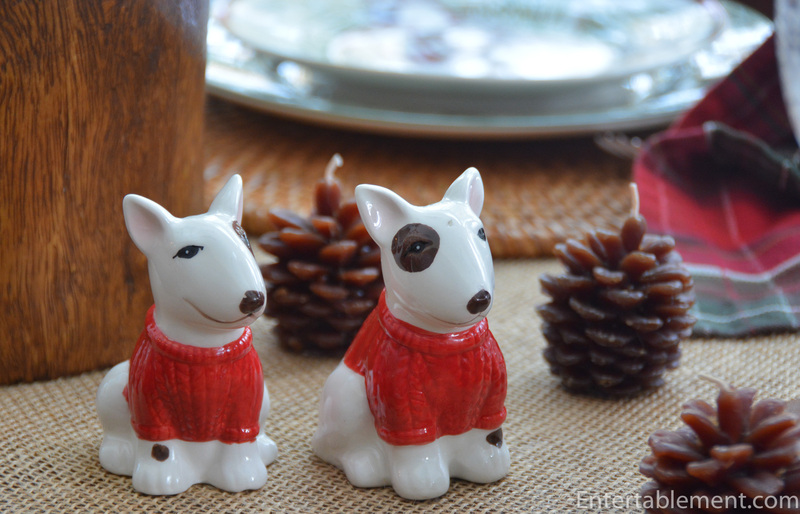 I originally set the table with two pairs of green glass open salts, before I remembered the Bull Terrier salt & peppers I had picked up from World Market. The more the merrier, I thought. Come join the dog party. They’ll be perfect with Trouble. 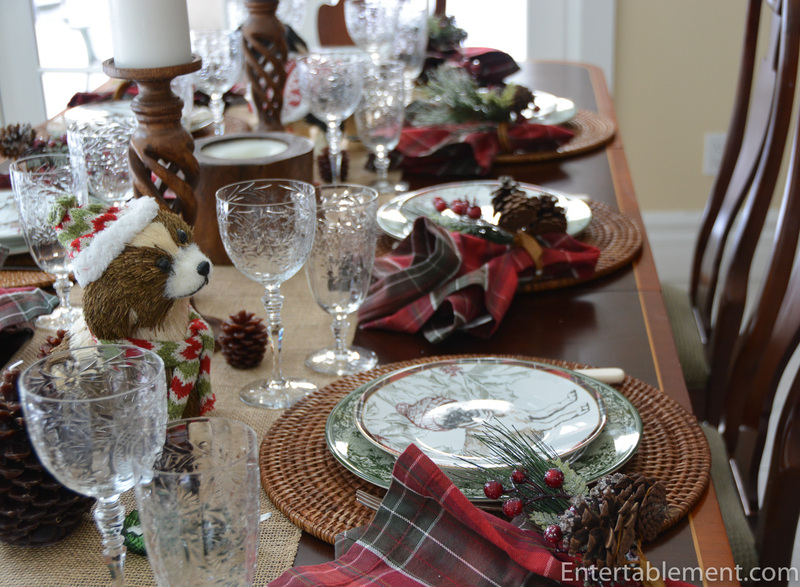 I must set a table with them next year. So we invited in the Pier 1 dogs from the porch, where they’ve been welcoming us home for the last few weeks. The little girls re-arrange them happily at each visit. I’m never sure exactly where I’m going to find them when I go back outside after they’ve been visiting. 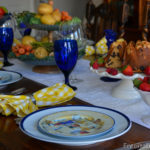 It was a work day for a couple of the adult kids, and I opted for an easy-to-prepare meal, so we had time to visit. We had Roasted Root Vegetables with Almonds and Parmesan Cheese with beef tenderloin and pan-roasted skin-on, bone-in chicken breasts. It all went down very well. 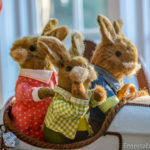 Emlyn was introduced to the Playhouse Under the Stairs, and we heard shrieks of laughter all afternoon as little girls busily prepared pretend meals, chased away monsters and snuggled in sleeping bags for hours. 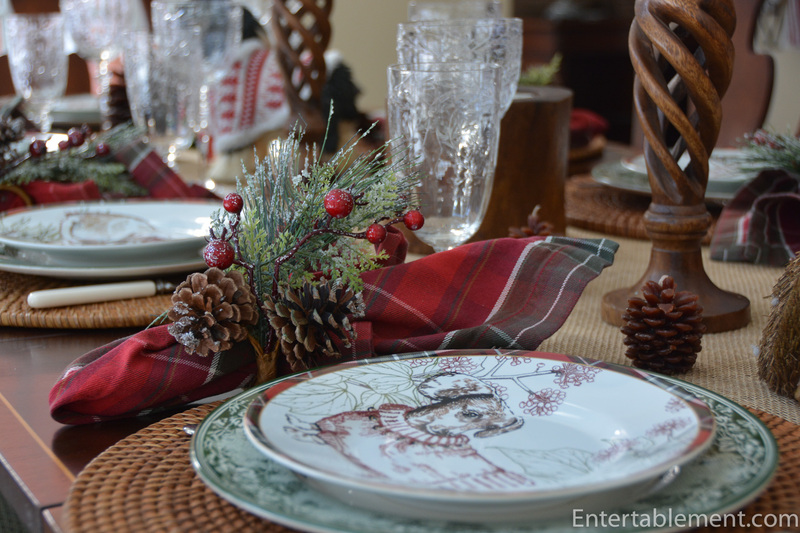 Christmas comes but once a year, but the memories it builds last a lifetime. We are indeed very fortunate to be able to celebrate with family and friends. I’m a bit behind with picture processing and posting, and will catch up on our Christmas Eve dinner in the next day or so. I hope everyone had wonderful holiday and are looking forward to a healthy and Happy New Year. Sounds like you had a wonderful Christmas. 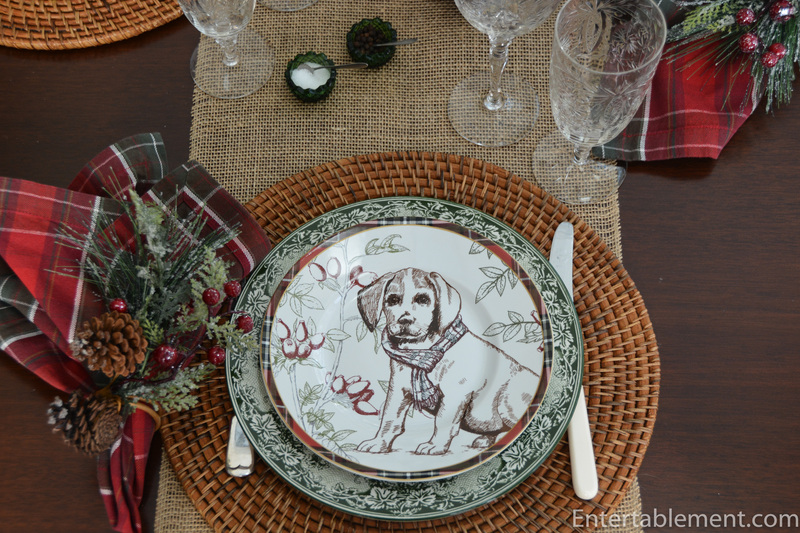 Love the dog plates especially the retriever. Happy new year to both of you. Oh my! A two Audi Christmas! That has to be a first 🙂 Must have been a hoot watching it all unfold. We had a marvellous Christmas, thanks Maura. And Happy New Year to both you and Bill. 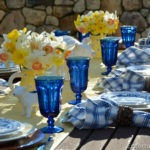 I’m glad you enjoy those goblets as much as I do – they go with just about anything, and they’re durable without being clunky. 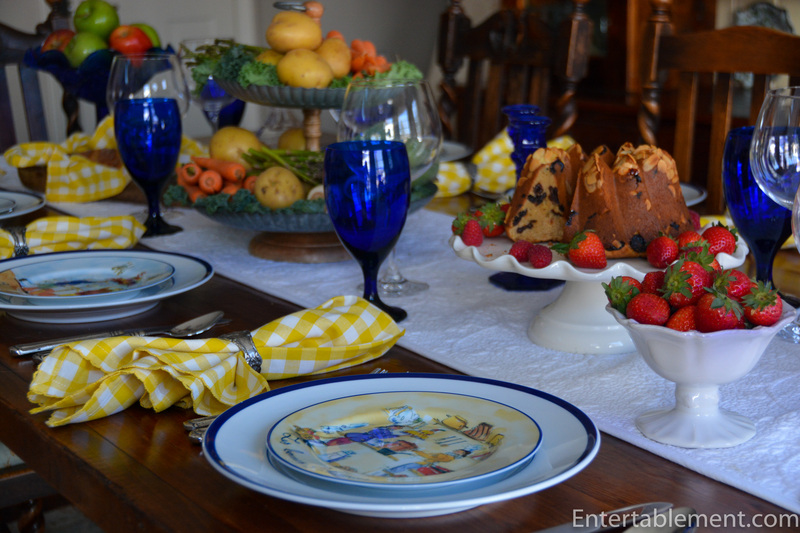 I hadn’t realized there was another Wedgwood pattern of the same name. I like it! It’s a lighter green, and I see some versions have coloured portions. Very nice! Thanks for stopping by. Happy New Year in case we don’t exchange greetings before then! 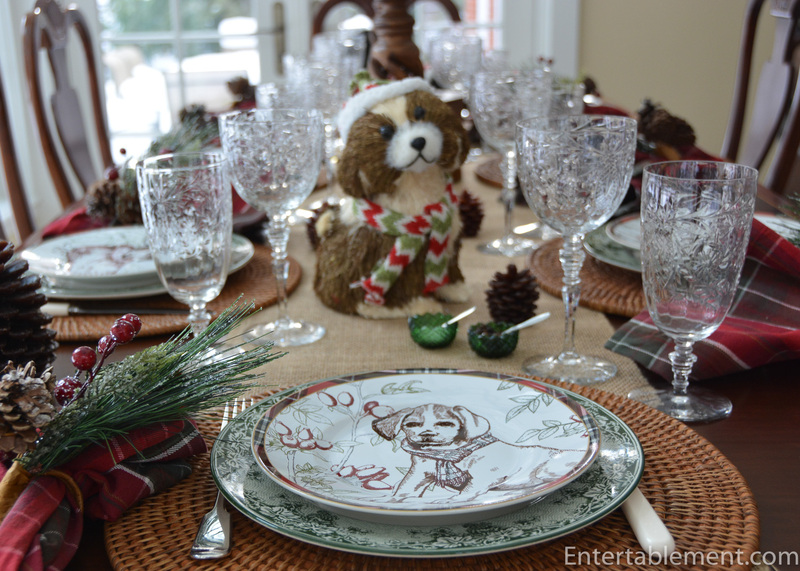 I love the dog themed table, we are a dog family- we had five here for Christmas- 4 of which are over 100lbs. So your fun table stuck a cord with me!! 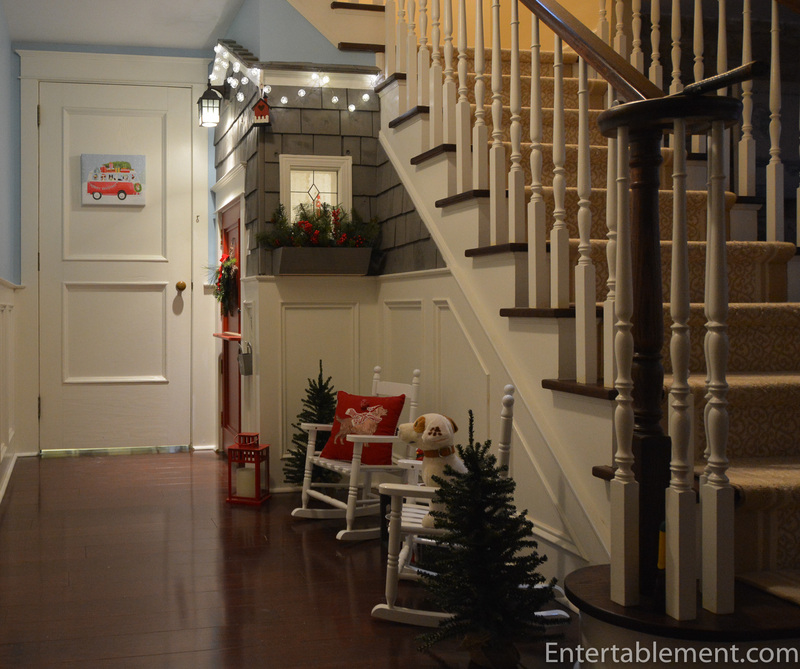 But I also have to comment on the adorable playroom under the steps!!! It is sooooo cute!!! Thanks for sticking that link to it in this post!! We had five dogs here, too, Ann! Our three golden retrievers plus one we are dog-sitting for friends, so four goldens in total, plus our daughter Lauren’s German Shepherd, “Rabbit The Dog”. None of them quite top 100 pounds, though. Those are very big dogs you have! So glad you enjoyed the table and the playhouse under the stairs. It’s been a really lovely Christmas. What a fun table. So much cuteness. 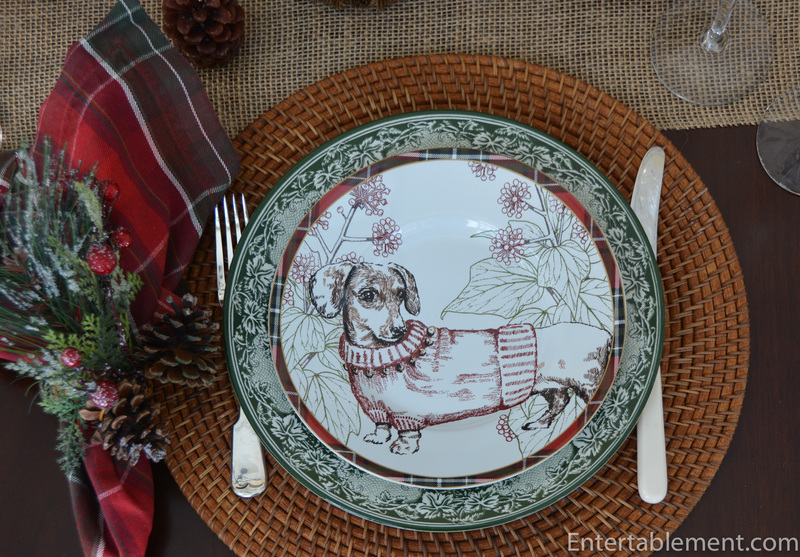 I love the dogs on the runner in their cute outfits and the dog plates are terrific. Several of our kids’ dogs are represented. 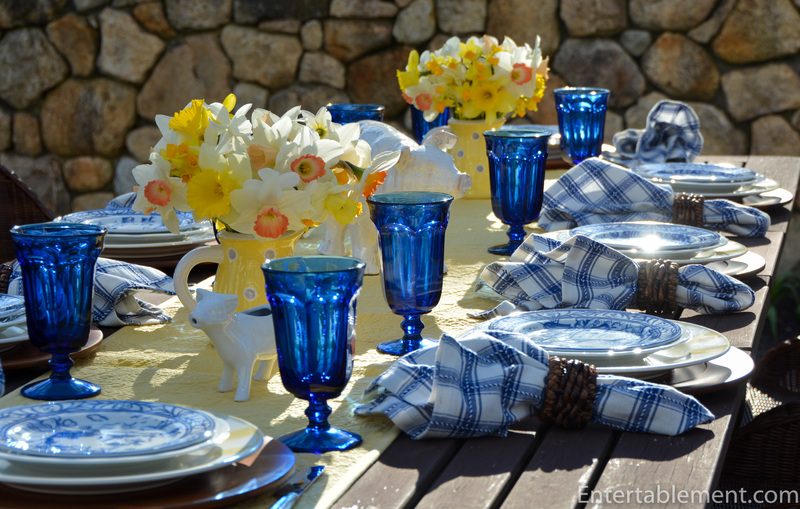 The story of your grandchildren rearranging the outdoor decorations is precious. And it appears that the playhouse was a hit. Happy New Year! The playhouse was as definite hit, Lorri! Glenn has already been down there working on strengthening the hinges on the lower door. It was very busy opening and closing, being swung on, etc. They seem to get a huge kick out of shutting out the lights and “hiding from monsters” in the sloped portion right under the stairs, all the while shrieking at the top of their lungs. Oh, little girls! The Happiest of New Years to you and yours. Thanks for visiting! We are a dog family. There are two, a boxer and a dachshund, who live with my son and his girlfriend; two yellow labs that live with my daughter and son-in-law and a rescued mix, probably black mouth cur who live with my daughter and her boyfriend. When they visit the farm they join my two, a Pyrenees and a Pyrenees/black lab mix. We recently lost our oldest, a Pyrenees. So when they were all home there were 8 dogs. We do have two cats too, but dogs outnumber them. PS. it is amazing how noisy little girls can be but what a blessing they are. Happy New Year to you too. 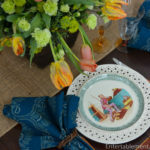 This is a wonderful tablescape! 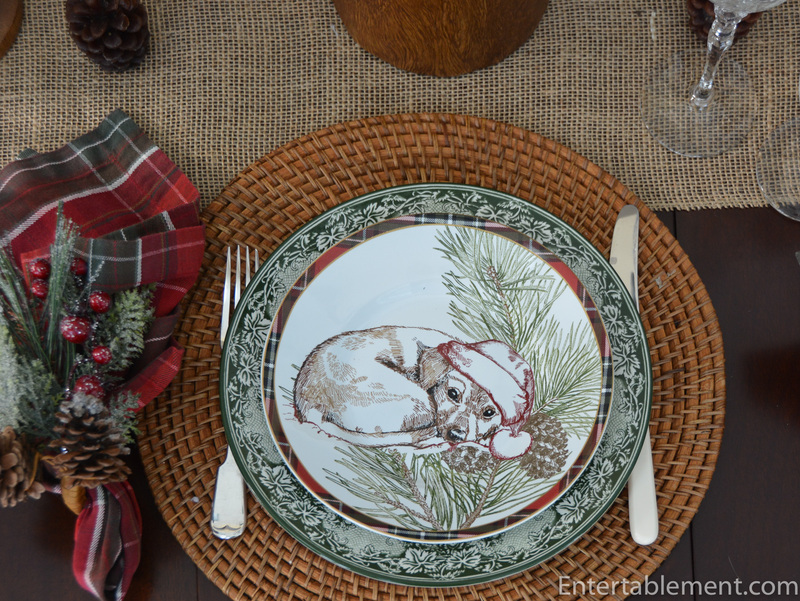 I LOVE those doggie plates! Have a Happy New Year! Thanks Catherine! I hope you have a healthy and prosperous New Year! 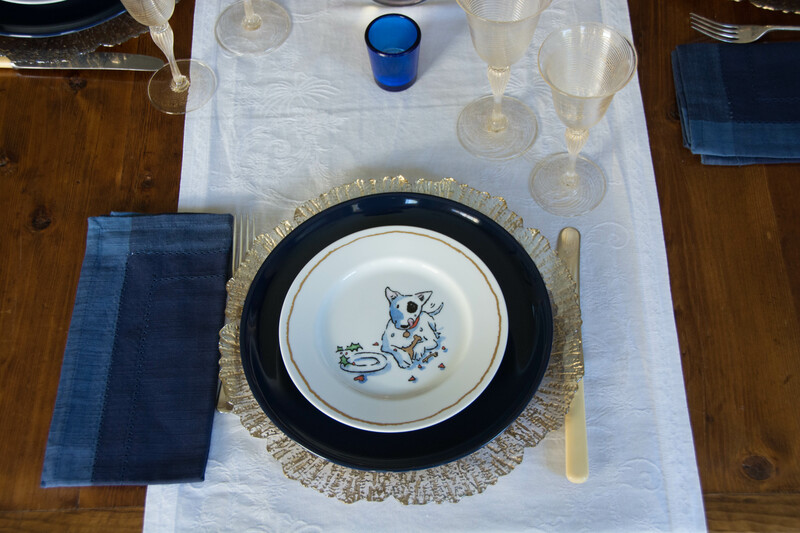 How can you not love the dog plates??? 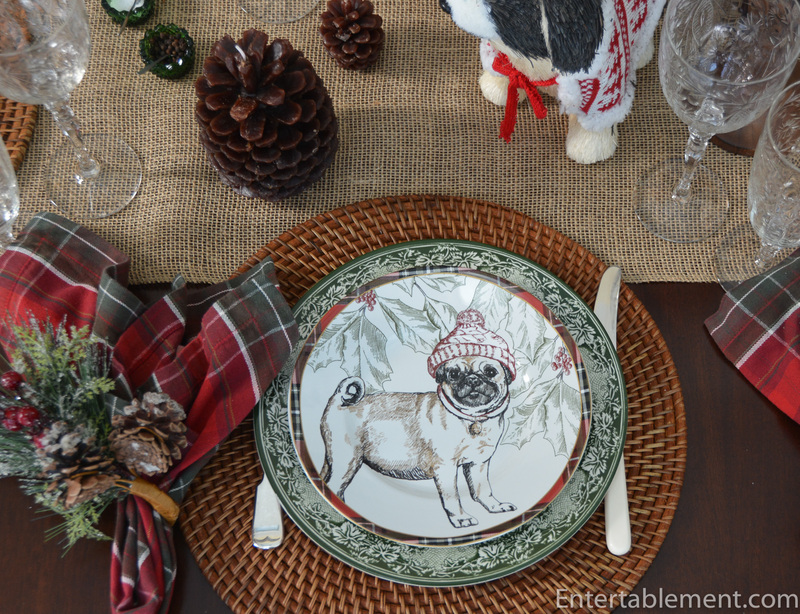 Particular favourites include the pug and the Dachsund. 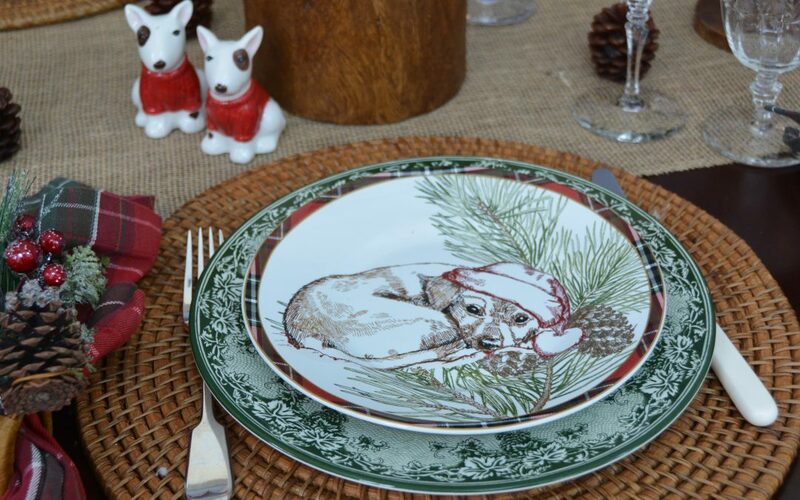 Are the dog plates still available Helen? 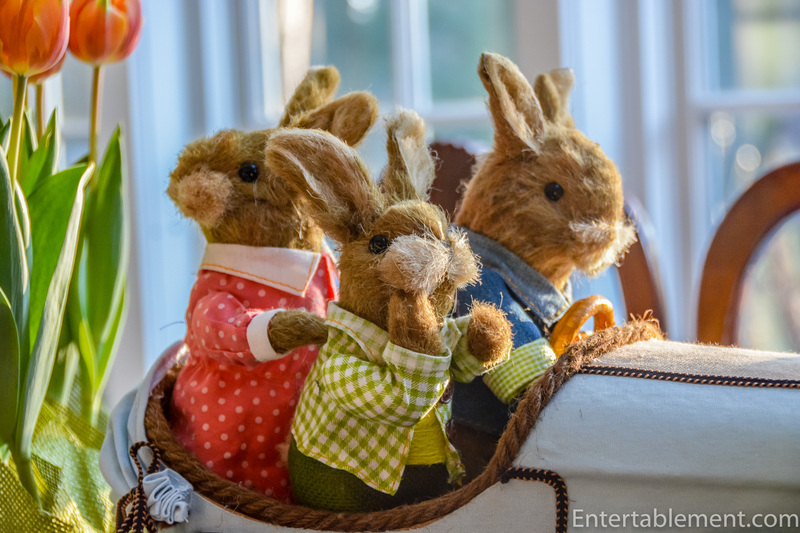 Sadly, Teddy, they are no longer in production, but eBay has proved quite fruitful. I was able to track down twelve of them in a couple of separate forays. They still come up from time to time; keep your eyes peeled!